What a special day we have enjoyed in school today as we held our Vaisakhi celebrations. The children looked fantastic in their home clothes and really made a big effort. I thoroughly enjoyed delivering the Vaisakhi assemblies this morning, very ably support by readers from Y2 who told us all about the 5 Ks. 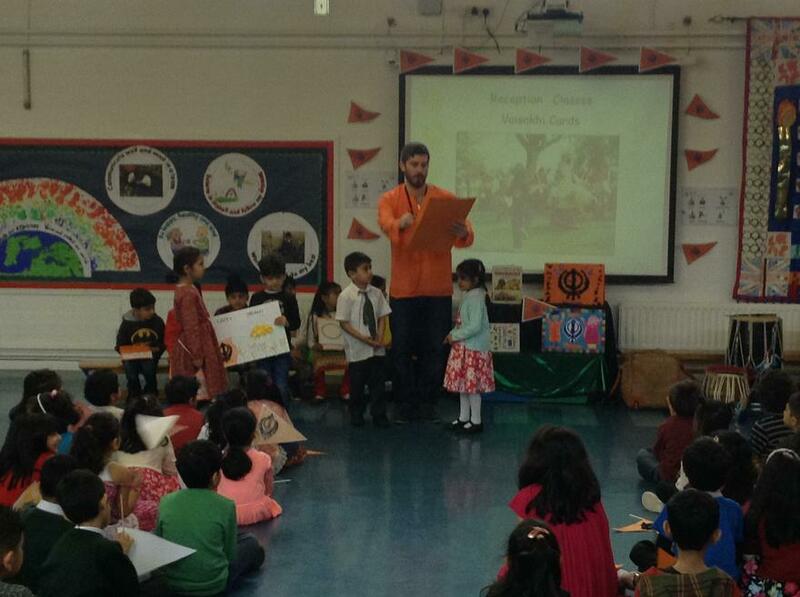 Year One and Reception children made flags and Reception also made special Vaisakhi cards for us. 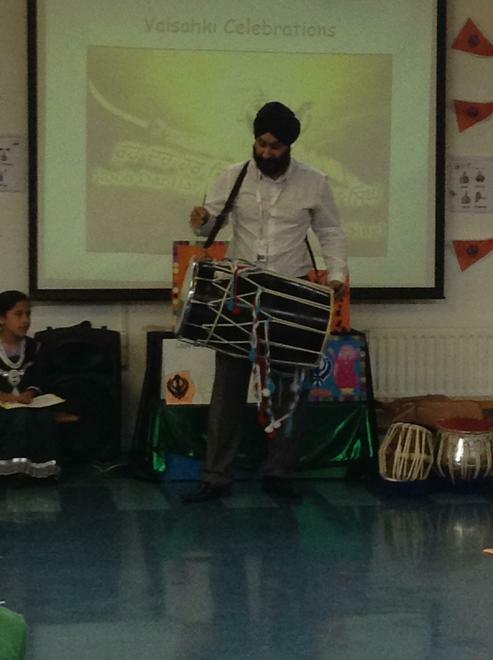 The highlight of the assembly was when Prit-pal performed on the Tabla and Dhol drums for us. The children were excited, enthralled and couldn't help but smile and dance. Prit-pal's performance was excellent and made our assembly very special. 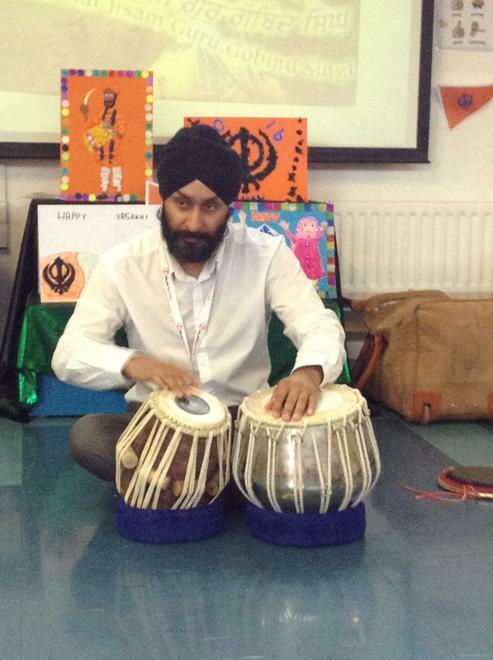 A big THANK YOU to Mrs Wilcox for organising for him to come and play for us, and a big THANK YOU to Prit-pal Singh from Birmingham Music Service. The children will continue to enjoy their Vaisakhi celebrations in class this afternoon with a few edible treats and a little dancing! Take a look at the pictures below to see what we got up to!